Riders of the city's Divvy bikes may be getting a surprise the next time they ride. 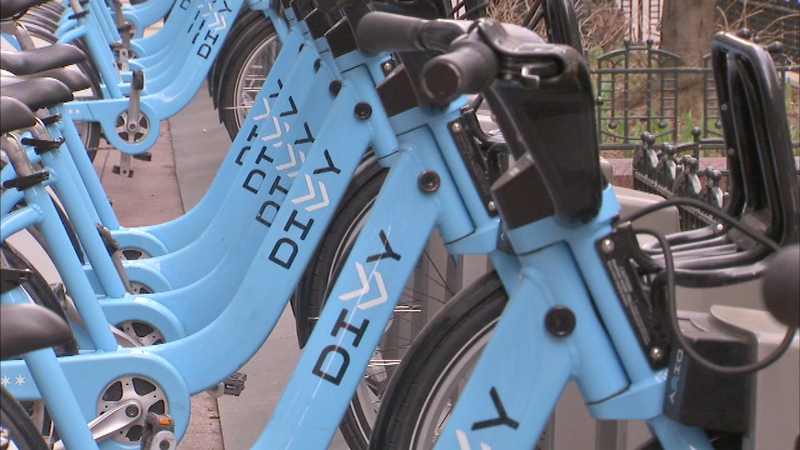 CHICAGO (WLS) -- More Chicagoans will soon be able to ride Divvy bikes, thanks to a new program called "Divvy for Everyone." Chicago residents who make less than $35,000 a year and do not have a debit or credit card will qualify for a $5 annual Divvy membership. The regular price is $75. The mayor's office said the program is made possible through a grant. More than 9.25 million miles have been logged on Divvy bikes in two years, officials said. After expanding from the downtown area into more city neighborhoods, people can rent bikes as far south as 75th Street and as far west as Pulaski Road.